For some reason probably lost in the mists of time, this is sometimes called a “motion to spread death of record.” I suppose that term might have evolved, or devolved, from the concept of spreading news of someone’s death, but at least in this case it devolved even further into just “Motion to Spread Death,” which is something I doubt anybody wants to see coming into their courthouse. 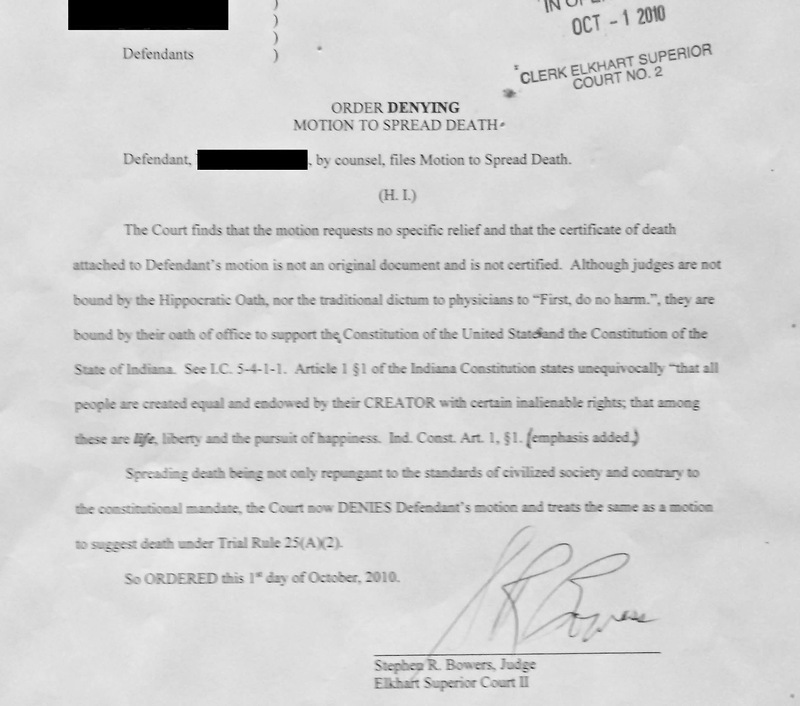 Most (if not all) the other examples I could find are actually from Illinois, so that may explain this Indiana court’s reaction to this odd variant of the motion. Or maybe he just wanted to put the phrase out of its misery? That seems long overdue.